What happens when mathematical equations meet beautiful knitting patterns? Discover mesmerizing projects designed using Fibonacci sequences! The Fibonacci spiral, also known as the Golden Spiral, is a numerical pattern that was first identified in the Western world by Italian mathematician Fibonacci. So how does this relate to knitting? The formula produces beautiful interconnected quarter circles, which result in a gorgeous spiral formation! While Fibonacci might have identified the sequence, this formation is actually one of mother nature’s very own designs, appearing in galaxies, hurricanes, leaves, shells and even sunflower seeds! The beautiful rich texture and colorwork of knitware produced from this blueprint is just incredible! From her Science is Beautiful series comes this elegant shawl by Kimberly Golynskiy, where we can see the beautiful Fibonacci spiral outworked though ripples of fabric giving complexity and texture to the project! This is the second edition to Woolly Wormhead’s Circled collection! This beautiful patternsees concentric rings in the Fibonacci sequence worked down from the crown of the head, to create a modern and contemporary fashion accessory! No ordinary stripy cowl! This wonderful project by Eileen V, uses the Fibonacci sequence to create stripe detailing thats crammed with intrigue, as the stripes increase in thickness and intensity. Pick your favourite DK yarn and watch the swirls of stripes ripple through your knitwear. This Aquilegia shawl features a beautifully intricate zig-zag design created by the Fibonacci formation. This lovely accessory sums up cozy elegant knitwear perfectly! Designed by Laura Nelkin uses the Fibonacci striping sequence to create dizzying colorwork in this lovely Media Cowl. Last but certainly not least, this adorable Bunny pattern uses the Fibonacci sequencing to create sweet stripe detailing in the inner ears and on the little bunny legs. Do you have your own Fibonacci project you’d like to share? 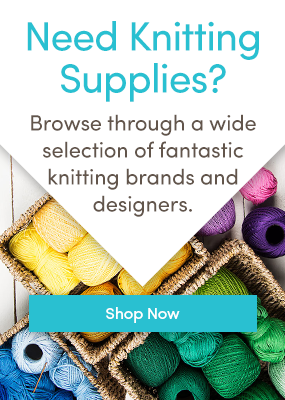 Why not join the other knitters on our site! Love seeing practical applications of the Fibonacci spiral. Did an essay on it when I was training to be a teacher so it is close to my heart. Great post.